Cheese from La Mancha D.O. 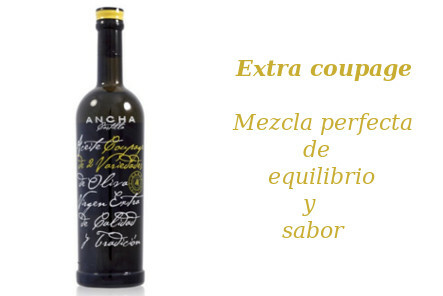 Selections of some of the best Extra Olive Oils in the market. A gourmet oil internationally recognized. Specially chosen for those clients who want to try our most representative products or give a present to their dearest friends or relatives. A different and original present with a careful presentation and high quality. Selection of internationally recognized natural pates and organic iberian acorn-fed pork creams. 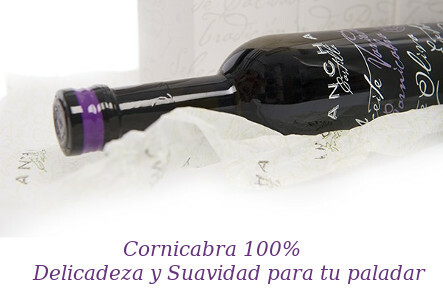 Quality, prestige, tradition, taste and health. 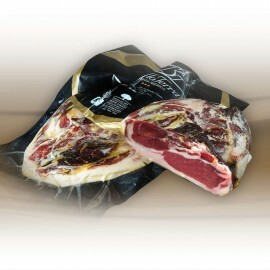 Acorn-fed Iberian loins and Presa from Extremadura, Los Pedroches and Huelva A gourmet product at your hand. Enjoy it! Iberian charcuterie products from Extremadura, Huelva y Los Pedroches Chorizos and Salchichón chosen from the best Designation of Origin. Sapnish products in one click! The best ham in the world!! Ham from Los Pedroches There are 6 products. Cutting knife and vacuum packed Iberian ham Service cutting knife iberiam ham and packed them. 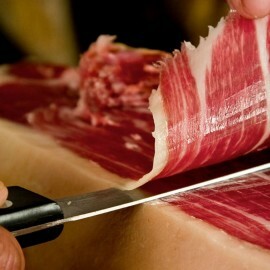 Request this service when you purchase your piece of Iberian ham. 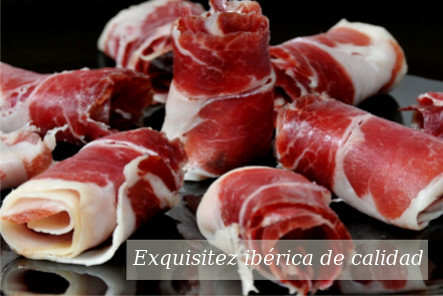 In GourmetdeIbericos we are pleased to give storage and consumption of Iberian ham more easier. We cut it with a knife at the time of ordering. Cebo Campo Iberian Ham from Los Pedroches BELLOTERRA Iberian Ham obtained from iberian pigs, raised at liberty and fed with acorns in holm- and-cork oak woods found in the north of Cordoba, south of Extremadura fed mainly from high quality cereals and legumes. In our online shop you can buy this and others products with a cheap price!! Acorn-fed Ham Iberian from Los Pedroches BELLOTERRA Ham obtained from iberian pigs, raised at liberty and fed with acorns in holm- and-cork oak woods found in the north of Cordoba during the acorn period. 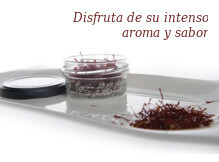 A genuine from Los Pedroches at the best price!! Acorn-fed Ham 100% Iberian from Los Pedroches BELLOTERRA Ham obtained from iberian pigs, raised at liberty and fed with acorns in holm- and-cork oak woods found in the north of Cordoba during the acorn period. 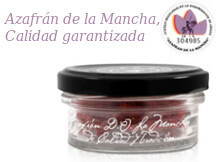 A genuine from Los Pedroches at the best price!! Deboned Acorn-fed Ham Iberian from Los Pedroches BELLOTERRA. 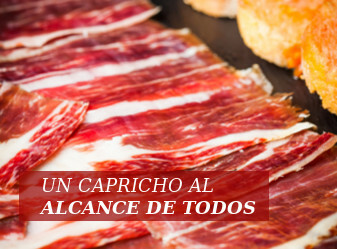 Ham obtained from iberian pigs, raised at liberty and fed with acorns in holm and cork oak woods found in the Pedroches valley in the north of Cordoba during the acorn period. 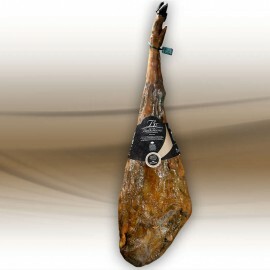 One genuine Pedroches ham with the best price! !Ready for be sliced and eating! Distribución y venta de productos ibéricos de calidad	© Gourmet de Ibéricos. All rights reserved.